In a first of its kind project anywhere in the Jewish community, Jewish Family Service of Metrowest announces the launch of its new Healthy Aging program, a community-based Metrowest initiative in partnership with Combined Jewish Philanthropies, the Metrowest Jewish Community Planning Committee, The Jewish Community Centers of Greater Boston (JCCGB) and Temple Israel of Natick, Temple Beth Am and Temple Beth Sholom both of Framingham. 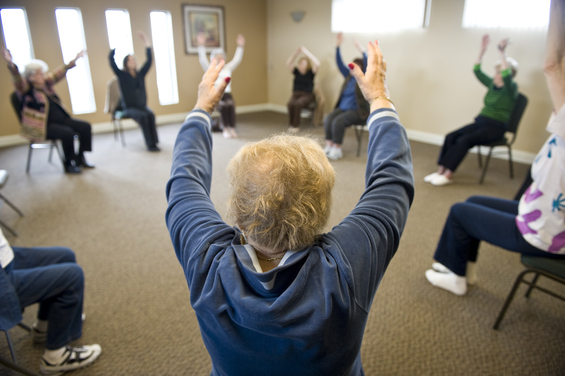 The program is designed to maximize wellness for Metrowest’s Jewish older adults by taking a comprehensive approach to maintaining health and independence using Evidence Based Practices (EBP) established by the Department of Public Health and the Executive Office of Elder Affairs. Whether one wants to become a coach, be coached or just learn more about healthy aging, seniors will have access to healthy living courses that educate about proper nutrition, exercise and mental wellness practices designed to empower Jewish seniors to take control of their health. The first training, “Healthy Eating for Successful Living in Older Adults” has already started at Temple Beth Am. More trainings will begin after the first of the year, along with weekly walking groups run by JCCGB to be held at the Natick Collection. In addition to coaches, the program will also train retired health professionals to be patient navigators. Patient navigators will work closely with seniors, coordinating care, assisting with paperwork, accompanying seniors to doctors’ appointments and helping them navigate our increasingly complex health care system. If you’re interested in volunteering, training or being matched with a wellness coach please contact Malka Young at myoung@jfsmw.org or 508-875-3100×18.